You can do everything else on this list, or in the universe, correctly, but without exfoliating, you will never achieve a good, all day lip. I never used to exfoliate and always wondered why my lipsticks caught on dry parts, or looked so uneven. Before applying lipstick, give your lips a good scrub. Sometimes I just do this the night before so I have more time in the morning. You can either buy products that specialize in soft lips, like the ones above, or just use your toothbrush to gently scrub your lips and then wipe them dry. This is also a huge help when you want your color to last all day long. Some people like to just let their chapstick sink in after an exfoliation session before lipstick application, however I go straight to my MAC lip primer, which gives my lips the moisture they need to keep from drying out while also getting them prepped and ready for my color. 3. Lipliner is for more than lip lining. Now, growing up I thought people only used lip liner in a few shades darker than their lipstick to solely outline their lips, obviously this is wrong. And, while you do need to be using your liner to outline your lips first, you should then go back and fill them in. A trick I like to do while I'm filling, and pretending I'm coloring within the lines of a coloring book with a colored pencil, is to smile to stretch my lips out so I can get in-between all the little folds in my lips, works like a charm. Also, a good clear liner is probably the best thing ever for any funky or unique lipstick colors you may possess. While a good red liner can be versatile, I don't want to buy a creamsicle orange liner just to go under one specific lipstick, so I just use clear, it's a lifesaver for keeping true to your lipstick color. Even the most perfectly planned out and perfected lip can fall victim to an oily meal. Anything that involves slurping (read: yakisoba, fettuccine alfredo, etc.) should probably be completely avoided. Unless you're super confident in your ability to keep such things away from your lips (or you're wearing a stain, or something else that won't budge), I'd steer clear or use tiny bites you can easily munch on without any sort of lips-pursed-slurping-action. Straws are also really helpful for keeping your lips nice all day. They are by no means a must, but they will be super useful and greatly decrease your need to re-apply after enjoying your morning coffee or afternoon soda. 5. Aftercare is equally important. After a full day of rocking your lipstick, your lips are going to be in need of a little TLC. Once you remove your color, for which I use makeup remover wipes, you should immediately moisturize to keep your lips from drying out. They've had a tough day of looking fab and need some lovin. For this you can either just turn to your favorite chapstick, or use something a little more heavy duty, depending on your need. I find that matte lipsticks tend to be more drying than any other finishes. Let me know what you guys think! 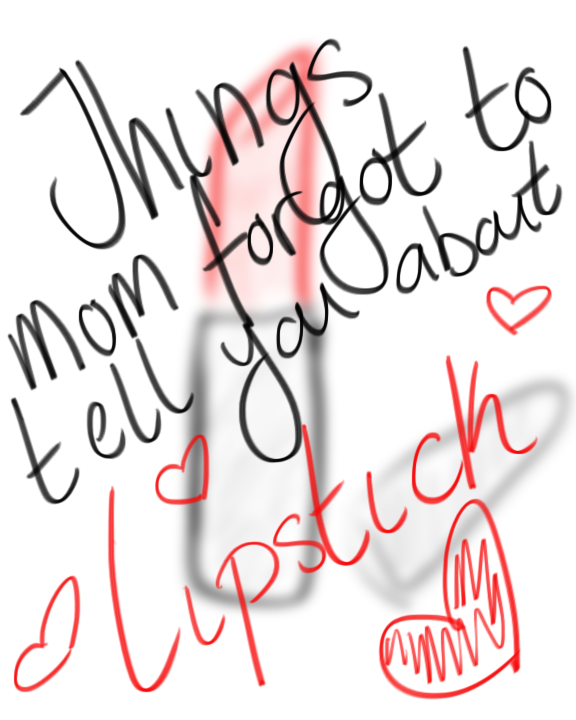 I may make this into a series, but I just wanted to do a little tid-bit on lipstick!